Is there a better alternative to Writed Pro? 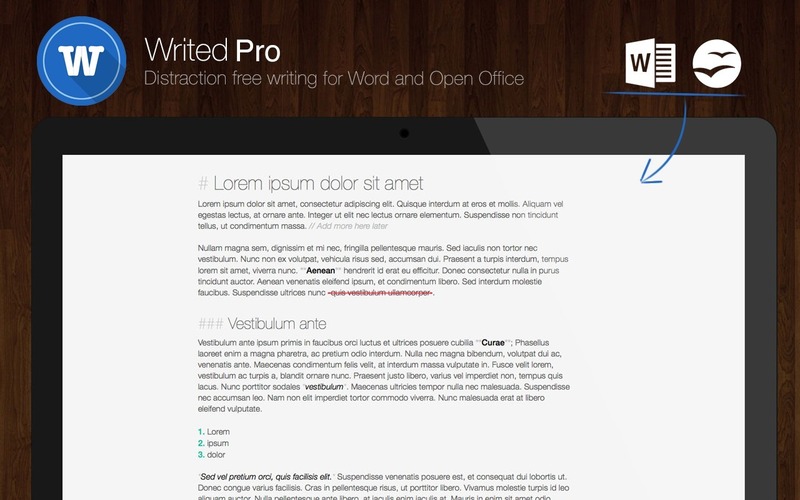 Is Writed Pro really the best app in Productivity category? Will Writed Pro work good on macOS 10.13.4? Writed Pro is a distraction-free text editor with support for Word, Open Office, and RTF file formats which will help you type more in less time. Writed uses markdown* syntax to format your document in real time, letting you keep both hands on the keyboard and just type. When you want to print or export to PDF, just choose your print theme and the document gets beautifully formatted the way you want. Note: Currently available at an introductory discount for $0.99. Note: The demo version is currently at 0.9.2. The version available for purchase is 1.0. Writed Pro needs a rating. Be the first to rate this app and get the discussion started! 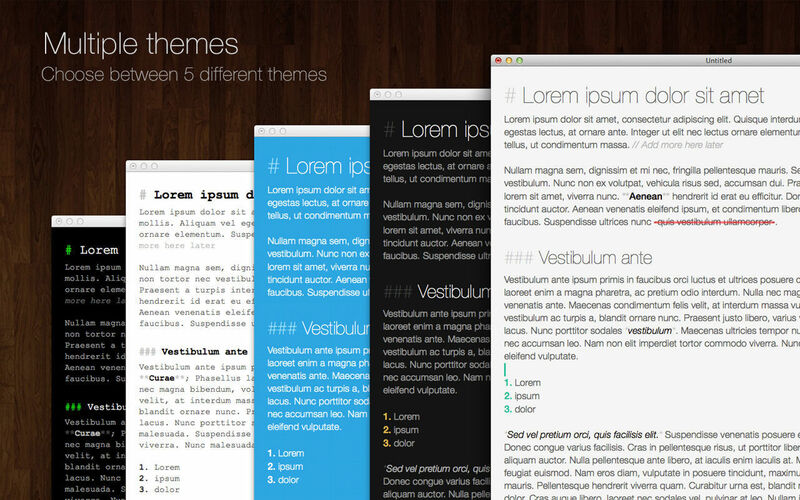 * Markdown is a markup language with plain text formatting syntax, really simple to use. 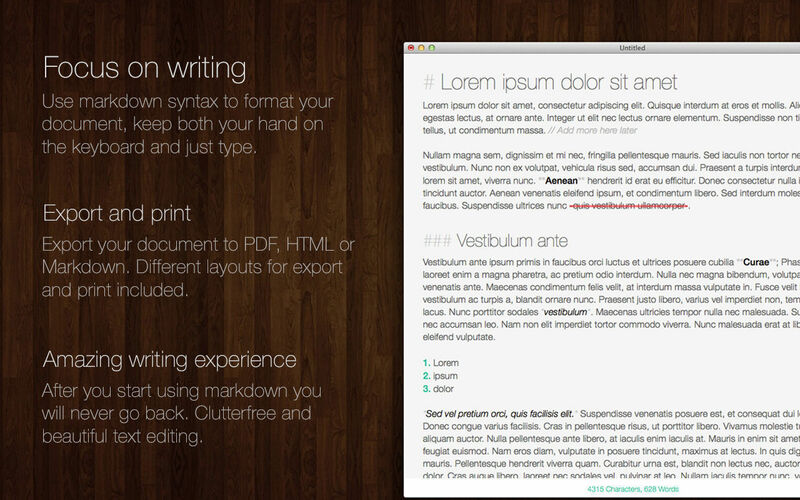 Note: Writed is not your typical word processor, its even better. Your document is separated into the model, the one you edit; and the view, the one you print or export. You can't edit the font, color, or size of the text; just focus on the text itself.